No Lumia 900 on T-Mobile in Germany, related to WP8 upgrade path? 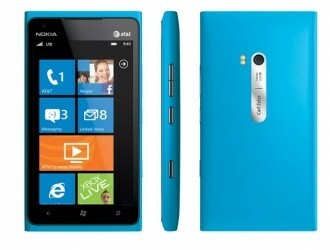 An unlocked version of the Lumia 900 launched in Germany last week but when the phone was notably absent on T-Mobile, customers became suspicious. When the question was presented on a T-Mobile support forum, a customer service representative reportedly checked around the office and learned they wouldn’t be carrying the phone because the operating system wouldn’t be upgradable to Windows Phone 8 when it launches in a few months. A T-Mobile spokesperson from the region has since issued statements to various media claiming the forum response isn’t an official statement from Deutsche Telekom and they have no idea where said information came from. The spokesperson concludes that such a statement would never be communicated and noted the phone was not being offered due to market conditions and customer needs. This only added fuel to the rumors that current Windows Phone device would not be compatible with Windows Phone 8. Following Microsoft’s sneak peak at Windows Phone event earlier today, we now have confirmation that Windows Phone 7.5 devices will not be able to run Windows Phone 8. Instead, legacy device owners will receive new features through Windows Phone 7.8. Details are still scarce at this point but we suspect 7.8 would be pushed out to handsets around the same time as WP8 devices launch. The Microsoft upgrade path announcement certainly lends some credit to the Lumia 900 / T-Mobile fiasco but we don’t expect the telecommunications company to actually admit it.